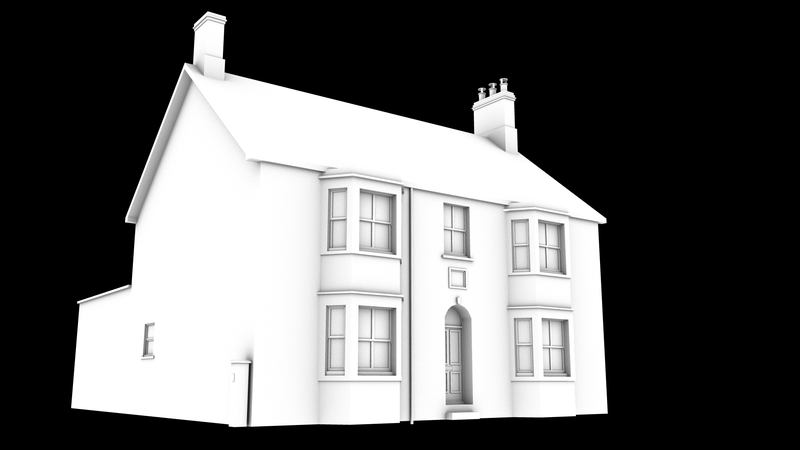 I thought I would take a break and work on another house model at the same time so that my brain doesn’t get too stuck on one thing. So, the previous course there were a few different shots of different houses given out… I already have done one, I thought I would try another and see how much quicker it would go this time. I also went out and took some pictures of a nearby church. I am hoping that I took enough pictures from all around it to hopefully do a full 360 degree camera animation. We shall see though. Anyway, this is how far I am right now. I have modelled this and done an ambient occlusion pass and probably a third of the way through the initial UV mapping.